With our FREE eWallet-Optimizer Program you can easily make money by moving your funds online. We reward our clients for using their Skrill and/or NETELLER accounts. We pay cashback (eWO Bonus) to your eWallet account every month between the 10th and the 20th for the previous month. The more you transfer using your Skrill Forex or NETELLER Forex accounts, the more you earn. We offer two eWallets to choose from, Skrill (former Moneybookers) and NETELLER. Skrill Forex Trading makes sense if the broker allows funding and withdrawals free of charge more than NETELLER, and NETELLER Forex Trading vice-verse. However we have noticed that most brokers have the same conditions for the two eWallets. We are promoting eWallets like Skrill and NETELLER since 2010 already and have become the biggest and most trusted ambassador worldwide. Please feel free to check our Facebook gallery for references and last years cashback transfers and ask around – your friends might benefit from our monthly eWallet Forex Cashback for years already. At Skrill, you can earn a $15 signup bonus as well as a monthly 0.3% Bonus for Skrill of your Forex Transfers. You can either join our Skrill Forex Cashback Program as new or existing Skrill customer. Please proceed by following our Skrill signup instructions. At NETELLER, there is no signup bonus, but the monthly Bonus for NETELLER goes up to 1% of all your transfers to Forex Brokers. 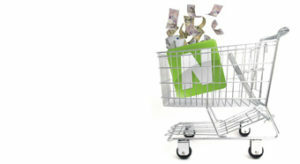 Most of our Forex clients prefer NETELLER, not just because of the much higher monthly Forex Cashback, but also because of the faster support and easier account handling. To join our NETELLER Forex Cashback Program, please proceed by following our NETELLER signup instructions. Most importantly, please make sure to deposit and withdraw in the currency your Skrill and/or NETELLER account is registered in. If you need to switch your currency, please check our guides for Skrill currency switch and NETELLER currency switch or contact us and we will be happy to guide you through the process. Forex sites usually do not have any limits for deposits or withdraws. Different to Poker or Sports Betting sites, many Forex Brokers charge for deposits and withdrawals but there are enough which do not charge (at least 20-30 brokers in the market). They will absorb the fees for you but they expect some trading activity in exchange. There are no fixed rules for most sites as to how much trading activity has to happen. It depends on each broker but daily withdrawals should be avoided, even if trading was performed. You should rather use several brokers and use your deposited funds for some time and trading activity. The typical Skrill and NETELLER withdraw takes around three business days in average. Some brokers are very fast and process within 1-2 hours every time and some others do not execute right away and it takes emails and contacting the live chat to get it done. It therefore makes sense to focus on the faster ones but also to give them more trading to keep them happy. We recommend to use more than one Forex Broker to be able to hedge positions against each other and to profit from the best conditions when it comes to free deposits and withdrawals. Please check the following table which Forex Broker offer Skrill and/or NETELLER as a payment method and their conditions. This list is not conclusive and no responsibility can be taken for the correctness of the details provided. If you should spot any errors or out-dated information, please leave a comment or contact us . This is highly appreciated since we always try to keep the list as accurate as possible. Withdrawals are free at most Forex providers, but please check the provided link that leads you to the current transfer fee overview of the specific Forex Broker and let us know if any information might be out-dated. Please note that you earn our monthly Forex Cashback on all of your transfers to all Forex Brokers (even if not yet listed here). While NETELLER does also provide a list of Forex Brokers offer NETELLER as payment method, Skrill does not offer such a list and has only few information for Forex Traders public. Please proceed by following our instructions how to join us. If you have any questions about the Forex Cashback you can earn with us, please do not hesitate to contact us .